Electric Gardens is pleased to announce the ultimate afterparty… Once Fatboy Slim drops the very last beat at Red Hill, we fire up Villa nightclub with one of the biggest names in the techno world – Electric Gardens brings you DUBFIRE! 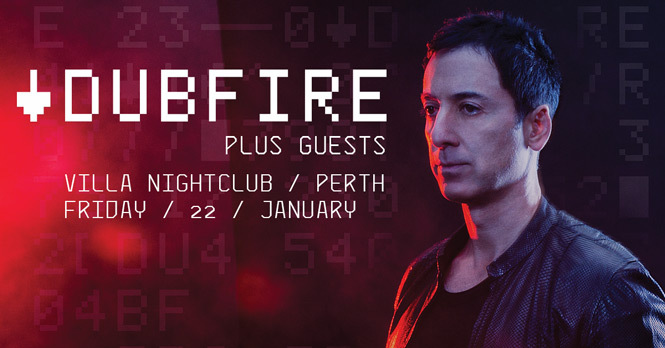 From global success in the commercial domain as one half of ‘Deep Dish’, to equal accomplishments within the underground scene as Dubfire – this is an artist whose drive, talent and intuition have placed him within the top tier of techno artists in the world today. From ‘Ribcage’, ‘Emissions’ and ‘Roadkill’, to his work with Oliver Huntemann and his remix of ‘Spastik’ by Plastikman, Dub?re’s creations perfectly display his musical dexterity and depth of aural knowledge.